Your eyes will widen with delight when you see this diamond pendant from the Cento collection by Roberto Coin. 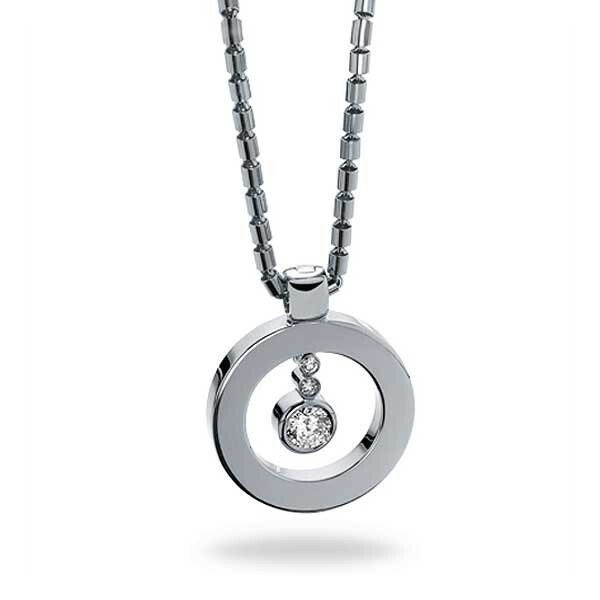 Crafted into a smooth O, the sparkling 18kt white gold charm has three Cento diamonds that drop into the middle. The sparkle that shines on a diamond with a 100 facets is simply breathtaking, so let this Roberto Coin diamond pendant dazzle you!